Just When You Thought you were Out, They Drag You Back In! Here Comes Medicare! To date, the impact of Medicare on dental professionals has been minimal. Most dental services are excluded under Medicare. Routine cleanings, fillings, extractions, crowns, and root canals are never covered. If these are the only services you provide and/or you never expect to see a Medicare eligible patient in your practice, then you may feel that Medicare rules do not apply to your practice. If you occasionally treat patients for oral cancer or see patients with traumatic injuries, such as fractures or lacerations, then you should examine your enrollment status with Medicare. If you ever see Medicare patients for potentially covered services, you are already subject to Medicare rules, even if you are not formally enrolled. Any physician or dentist who provides covered services to a Medicare patient is required to enroll either as a participating or non-participating provider. Some of the most common covered services are biopsies, treatment of infections, treatment for trauma, and extractions prior to head or neck radiation. Some reconstruction following cancer treatment may be a covered service. Consultations for medical conditions, such as TMJ, are covered, as are some other medically necessary treatments. If you do not want to provide care to the Medicare population or enroll in the Medicare program as a provider, you should opt out. There are a few exceptions to this rule, one of which concerns services provided free of charge. Many dentists have chosen to provide free care to avoid enrollment, and, until recently, this may have been acceptable. In October 2009, Medicare began alerting physicians that enrollment would be required for any providers who order tests (including lab and radiology tests). Even if you do not treat (or charge) patients for Medicare covered services, you may refer a Medicare patient for lab work or for additional studies and treatment. If you are not enrolled, these services cannot be billed by the subsequent provider or supplier. As of January 1, 2014, any claims for services that are ordered or referred by non-enrolled practitioners are automatically rejected. This means that the lab will not be paid for submitted biopsies unless you are enrolled in some capacity. 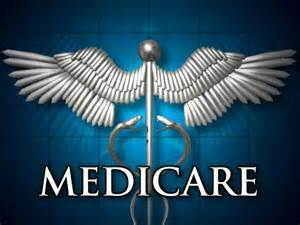 To further complicate matters, in May 2014, Medicare released a final ruling stating that only drugs prescribed by a Medicare enrolled provider will be covered. If you treat patients over 65 years of age, chances are you will need to prescribe an antibiotic, pain reliever, or other medication to a Medicare beneficiary. If you are not enrolled or have not opted out of Medicare, these prescriptions will not be reimbursed. Pharmacies may refuse to accept prescriptions from non-enrolled practitioners. This requirement is expected to be enforced effective December 1, 2015. Henry Schein has published a Medicare Guide for Dental Professionals “Understanding the Changes” For more information and a pdf copy of the guide, please contact me cliff.marsh@henryschein.com or call 201-321-7494.